The Team at OPS takes our work and our clients concerns very serious. They are the reason we are all devoted to this life and why we continue to search for the truth. While we treat each case in a professional manner, we do like to have fun and entertain in our downtime. The video's, pictures, writings and any other subject matter found on this page is meant for entertainment purposes only and does not reflect our approach to the paranormal or unparanormal world. We hope by posting the different materials you are able to see and view here that it might further break down the walls and stereo types that are associated with Ghost Hunting and the search for the inevitable, the truth. The Tech Department at OPS invites you to join us as we explain some of the various equipment we use in the field. Click the picture below to enter Gadget Corner. 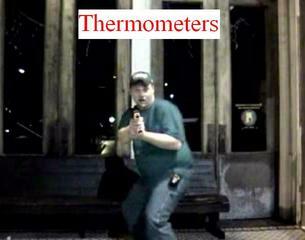 The OPS "Paranormal Arcade" is here for you to get away from all those horrible hauntings. Just pick a game, relax, and relieve some stress. Click on the picture below to enter Oxford Paranromal Arcade. 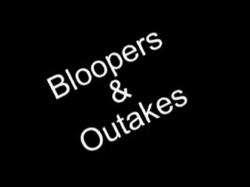 The one thing that we were able to capture on just about every case was plenty of bloopers! Here is a look at us at our not so best. Click on the pictures below to play the videos.